LoadLifter 5000 kits are Air Lift’s heaviest-rated air spring kits, specifically engineered for hauling or towing heavy loads. LoadLifter 5000 air springs are designed to fit popular vehicles like 3/4 Ton and one-ton pickup trucks, motor homes, commercial trucks and other severe uses. LoadLifter 5000 air springs provide up to 5,000 Pounds of leveling capacity for support of your heaviest loads. Air spring pressure is controlled through air line tubing that connects to the most convenient spot on your vehicle’s chassis. Our air springs are fully adjustable from 5 to 100 PSI. 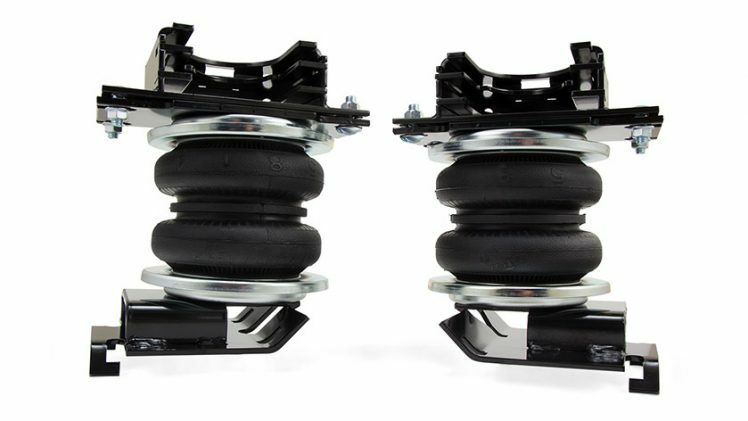 Air Lift adjustable air springs work with your existing suspension to give your vehicle more leveling support when you need it, so your vehicle is always level and stable. Proper weight distribution to all tires means more safety and a more comfortable ride as well.